Olive oil is deeply treasured by the Mediterranean people and for good reason. Did you know that olive oil has a myriad of beauty benefits? You might not have to look further than your pantry to maintain youthful, radiant looking skin and hair. Who spends thousands of dollars on expensive, and probably pointless beauty products? I bet most of you reading this raised your hands. Do yourselves a favor and stop wasting your money now and opt for this powerful oil. And if you don’t believe me, then think about the fact that Cleopatra used to bathe in it! Olive oil has been used for centuries because of its beauty-boosting abilities. It has shown to cure many different skin issues and hair troubles, including my fight with Eczema. If you have not tried the Mediterranean diet yet, perhaps now is the time. The benefits that come with it are just too darn good to miss out on. As you may know, the Med-lifestyle emphasizes the importance of eating whole grains, vegetables, lean protein, healthy fats and most importantly, olive oil. Over the centuries we have found it to be one of the world’s healthiest diets. In addition, scientists have discovered evidence which shows that the Mediterranean diet works to support the health of the brain and heart, as well as reducing the risk of serious health conditions. The reason I felt compelled to write this article is mainly that of my struggle with Eczema. 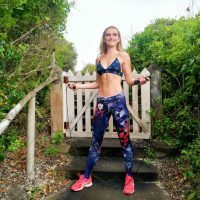 At the beginning of 2017, I experienced a terrible Eczema outbreak, and it happened so suddenly too. Nothing can describe the sensation better than the visual of ants crawling all over your skin. After wasting all my hard earned money on useless creams, treatments and doctors I eventually realized it had to do with my diet and high-stress levels. Lowering the stress I felt was one thing, but trying to figure out a new way of eating was more difficult. However, following a Med-diet and its core principles is actually very simple. The one thing that is always emphasized is eating Extra Virgin Olive Oil with almost everything. This means adding it to seafood and pasta dishes, to salads, and to roast vegetables. And I kid you not. After just three weeks of using only olive oil in my cooking and facial masks, my Eczema began to disappear! 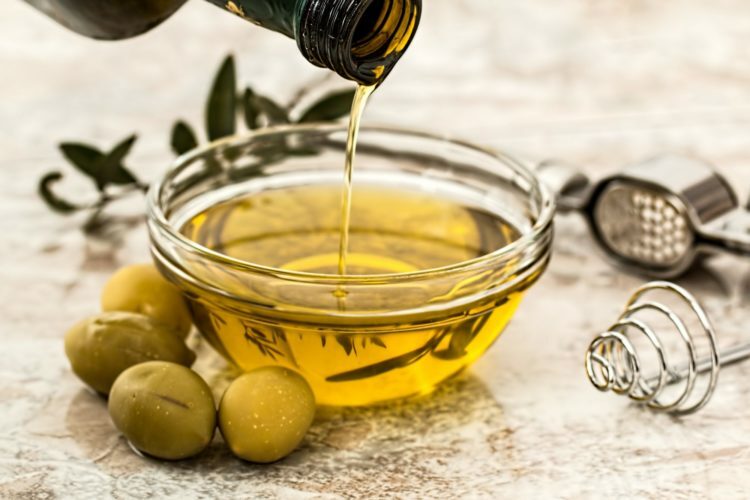 Here’s exactly what you need to know about olive oil and why it’s such a healthy, beautifying addition to your diet, hair, and skin. There are three very important antioxidants found in olive oil. These include Vitamin E, polyphenols and phytosterols. Antioxidants are absolutely vital to your health as they can help protect your body from free-radical damage which stems from our environment. We are constantly exposed to toxins and are pretty much living in a world of toxicity. This is not exactly ideal. Our poor bodies need ways to shield themselves from aggressors like pollution, UV rays, and everyday stress. These factors all cause premature aging, uneven skin tone, and clogged skin. Cooking and eating olive oil alone is good enough. But, why not try getting a bit more creative with it? At first, it might seem weird trying to wrap your head around using an oil you cook with directly on your skin. But, once you stop overthinking and start thinking of it as the same as the other oils found in your expensive beauty products. This will no longer seem strange. I realized the benefits of using olive oil when I discovered its versatility. You can use olive oil to treat the really dry ends of your hair which will help lock and replenish split ends. It’s also great for skin irritations and issues like Eczema. You can also add a tablespoon or two to your aqueous cream and use that as a lotion to massage into your cracked heels or toes. 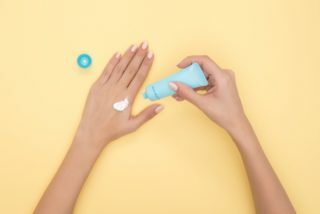 Many ladies complain about their dry nails, hands, and cuticles. There are lots of cuticle oils and hand creams that are supposed to help this. I prefer to save myself the time and money and just rub a little olive oil onto it instead. There are plenty of ways you can make it smell better too. Try mixing your oil with a little lavender oil or adding it into a lightly fragranced aqueous cream. It’s the best oil to massage into your nail beds to soften cuticles and prevent dehydrated nail beds. If you’ve got spare time on a Sunday and you feel like doing something nice for yourself. Then, instead of spending money at a spa or buying gimmicky products. Why don’t you make your own? Let’s get creative with olive oil! Thank you to Glamour Magazine, you can try making their amazing exfoliator sugar scrub. The oil will keep the skin moisturized, while the sugar granules will lift any dead skin cells. Or what about their damage-repair hair mask? You can try adding a banana for scalp care or oats for volume. Do you struggle with regular breakouts? Don’t stress, because extra virgin olive oil is non-comedogenic. This means that it won’t clog up your pores or cause spots. Therefore, no matter what skin type you are, everyone can enjoy its the amazing benefits of olive oil. I don’t want to hear any more complaints about expensive beauty products and wasting money on ones that don’t do anything. Take my advice and give olive oil a go! You might be pleasantly surprised at how quickly, and effectively it works and at how affordable it is. Your skin, hair, nails, health, and purse will love you! Morning routines are habits that we can create to make our day feel easier and run smoother. However, many think that there is a secret morning routine to follow. The best kind of routine is one like this.